If your home or business is in central Delmarva, we’re in your neighborhood! 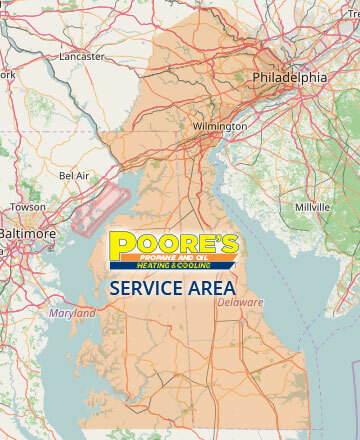 Poore’s Propane & Oil provides service to Kent and Sussex Counties in Delaware, and Cecil, Kent, Queen Anne’s, Caroline and Talbot Counties in Maryland. Find out more about us or become a customer—call or contact us.